Legal fees involved in the administration of an estate vary depending on the size and complexity of the estate. 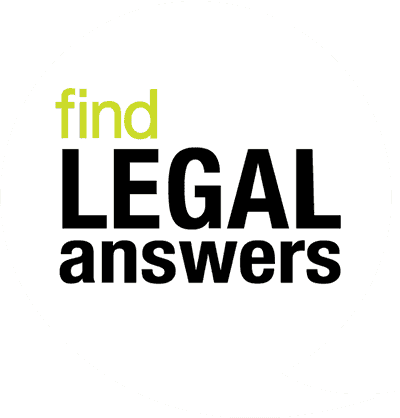 There are two separate components to the legal fees involved and then there are disbursements. First, there are the solicitor's professional fees for the work done in obtaining the grant of probate or letters of administration and second, collecting assets, paying debts distributing the assets of the estate to the beneficiaries. A lawyer will usually issue two accounts. One will be for the regulated fee for obtaining probate or administration; the other will be for the work involved in collecting and distributing the estate (post-probate charges). Then there are the disbursements, paid to third parties. Examples are fees for filing documents at the court for death certificates, and for placing newspaper advertisements. For work carried out up to the grant of probate or letters of administration, a solicitor cannot charge fees higher than the scales set by Legal Profession Regulation 2005 Schedule 4. A solicitor can charge less than the scale fee. All these fees will be increased by GST. They are only a rough guide and will vary considerably from solicitor to solicitor. The Law Society of NSW recommends that you shop around when choosing a solicitor. However, cheapest does not mean best, and you would be wise to check the level of experience a solicitor has in estate work. In addition to the fees discussed above, a solicitor administering the estate is also entitled to charge an amount for post-probate or administration services such as collecting assets or transferring the assets into the names of the beneficiaries once probate or administration has been obtained. This amount will depend on the work involved. For example, with some estates all that is required is the transfer of the home into the name of the surviving spouse, while in other cases, property may need to be sold and the proceeds divided among a number of beneficiaries, or held in trust for beneficiaries who are minors. These fees have been deregulated, but the court will only allow reasonable legal fees to be paid out of the estate. Lawyers in NSW must provide an estimate of their likely costs in writing before providing legal services to their clients. A lawyer who does not do so cannot sue the client for unpaid fees. The Legal Profession Act 2004 (section 315) requires this statement (known as 'disclosure of cost') to be in 'clear plain language'. Ask your lawyer to explain anything that you don't understand. Even though costs before probate or administration have not been deregulated, the disclosure of costs is required. Usually, pre- and post-probate costs are disclosed at the same time. Legal transactions can be unpredictable, and your lawyer may explain that the costs could increase during the transaction if more work is involved. The Legal Profession Act (section 316) states that, if a significant increase to the estimated cost originally quoted is likely, the solicitor must provide you with written notice of the increase. If you need the name of a solicitor who can help you administer an estate, contact the Law Society of NSW who can refer you to solicitors in your area who deal with wills and estates, or to solicitors who have been nominated as accredited specialists in wills and estates law. From 1 July 2016 the NSW Trustee and Guardian will charge for a Will and other documents unless the client is on a full Centrelink pension. Private executors and attorneys can now be appointed. The fees vary depending whether the client has an existing document with the department. Examples are $300.00 for a Will and $200.00 for an Enduring Power of Attorney or Appointment of Enduring Guardian. The statutory charges for administration of estates has also increased. Private trustee companies have their own fee structure but they typically charge a commission of around 4 per cent of the value of the estate.